Italian beef has long been a slow cooker recipe favorite, and it is loaded with flavor. The Italian-style pickled vegetables — giardiniera and pepperoncini — and dry Italian salad dressing are the ingredients that give this dish its name. The beef pot roast is slow cooked to perfection with the pickled vegetables, Italian salad dressing mix, and beef broth. This is a fabulous dish for tailgating or a game day party at home. This version uses condensed beef broth, but a good quality low sodium or unsalted beef broth may be used as well. Just reduce it to concentrate the flavors. See the tips and variations for more. For juicy, tender beef that will shred easily, use a lean chuck roast, bottom round, or rump roast. Lean beef roasts are best cooked in the oven. 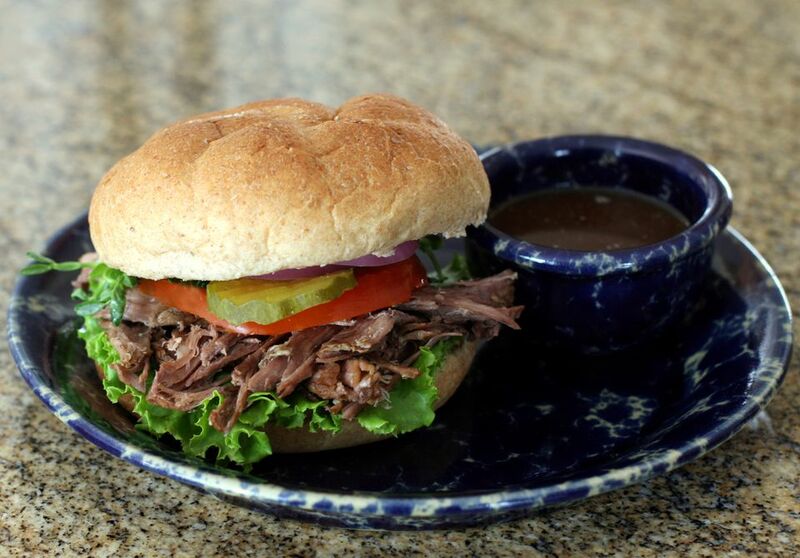 Serve the shredded beef from the slow cooker along with soft toasted split buns. Monica's Italian beef is a similar recipe made with pepperoncini, beer, and salad dressing mix, and Pam's Italian beef is another variation made with a thickened sauce. Place the beef roast in a 3 1/2 to 5-quart slow cooker. Combine Giardiniera, pepperoncini peppers, dry salad dressing mix, and condensed beef broth. Add all mixture to crockpot. Cover and cook on LOW for about 9 to 11 hours, or until the beef is very tender. Use a fork to shred for sandwiches. Serve with crusty Italian rolls or crusty bread. To make a substitute for condensed beef broth, bring 2 cups of beef stock — preferably low sodium or unsalted — to a boil. Reduce the heat to medium-low and simmer until it is reduced to about 1 1/4 to 1 1/2 cups. Replace the condensed beef broth with a can of condensed French onion soup.